The Maytals were key figures in reggae music. Comprised of leader Frederick "Toots" Hibbert, Nathaniel "Jerry" Mathias and Raleigh Gordon, all natives of Kingston, the Maytals are said to have been the first group to use the word 'reggae' in a song title with their Leslie Kong-produced "Do the Reggay." voices and a seldom rivaled passion for their music. Hibbert's soulful style quickly led to comparisons with Otis Redding. They first recorded with producer Clement "Coxsone" Dodd and the resulting album, Hallelujah, offered a blend of gospel-style vocals and soul sung to a horn-driven Jamaican beat. They were popular from the start, but soon left Dodd in favor of Prince Buster after recording a few sides with Studio One. With him, they soon gained a bigger Jamaican following and also became popular in Great Britain. The Maytals began working with Byron Lee in 1966. Hits from this era include "Dog War," "Daddy" and "Broadway Jungle." That same year, Lee and his Dragonaires backed the Maytals at the premiere Jamaican Festival Song Competition. Their song, "Bam Bam," won the contest and began a rapid ascent to real stardom. Occasionally, the Maytals would record with other producers, who would place different band names on the projects such as the Vikings, the Royals and the Flames, possibly to keep from having to pay royalties. The Maytals were reaching the height of their popularity towards the end of 1966 when Hibbert was arrested for smoking and possessing marijuana and was sent to prison for 18 months. Fortunately, the other two Maytals, who were best friends with Hibbert, waited for him, realizing they could not recreate their unique sound with another front man. When Hibbert was released, the band started working with legendary producer Leslie Kong. At this period of time, Jamaican popular music and ska was being replaced by the angry, violent music of Rude Boys, and in turn was restructuring reggae. The Maytals changed accordingly, but still kept the soul and gospel-influenced sound that made them unique. While in prison, Hibbert had honed his songwriting skills. Their first Kong single "54-46 That's My Number," a reference to Hibbert's prison number, recounted his experiences and suggested that he was jailed on a trumped up charge because he was a Rastafarian. It became a huge hit in both Jamaica and England and has since become a rock steady standard. 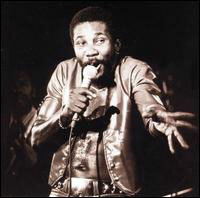 Other major songs from this time include the scathingly funny "Monkey Man," and "Sweet and Dandy," which provided the Maytals with a second win at the 1969 Festival song Competition. One of their all time great hits, "Pressure Drop," was included in the soundtrack of the definitive reggae film The Harder They Come. By 1971, they had not only become the biggest act on the island, they were also (thanks to signing with Chris Blackwell's Island Records) international stars. Suddenly, Leslie Kong died. They moved on to producer Byron Lee, and though the hits continued, things began to slow down. It was Lee who renamed them Toots & the Maytals. Hibbert and the group broke up in 1981. From there Hibbert began working with producers Sly Dunbar and Robbie Shakespeare and had international success throughout the '80s. Hibbert created a new Maytals in the early 1990s and continues to tour the world with them.